Over the past 17 years, the 4100 block of Detonty experienced extreme disinvestment. 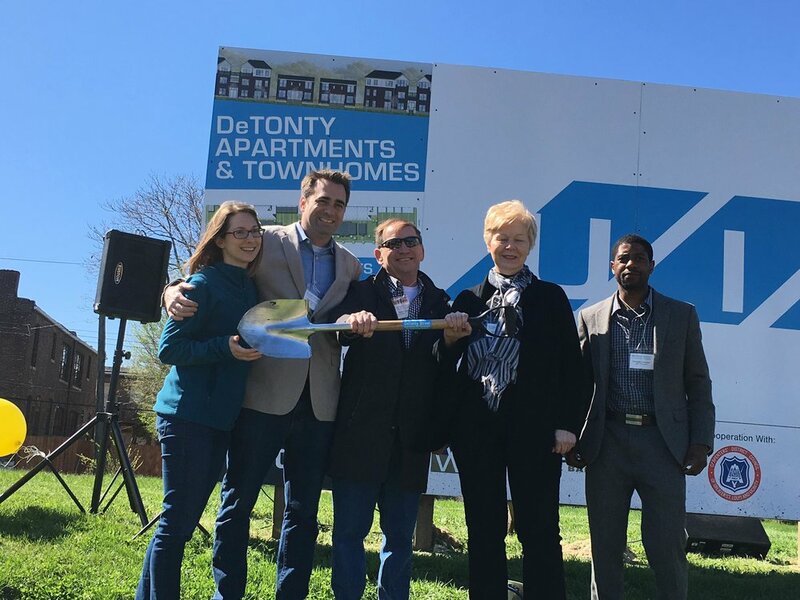 With leadership from Alderman Conway and financial and administrative help from Saint Louis City Community Development Administration (CDA), lots were assembled for future development. Based on the number of proposals in our files, there have been no less than 3 accepted developers for the land over the years with not one crossing the finish-line. There have been countless other ideas and proposals that were far fetched and/or not financially feasible. About 4 years ago, after a previous developer stalled, TGNCDC (then Shaw Neighborhood Housing Corporation) helped CDA promote the site again to potential developers. CDA selected Urban Improvement Company (UIC) to develop the block. UIC has experience in the market and was the catalyst for redevelopment efforts in Botanical Heights (other side of HWY 44 from the development site in Shaw). UIC initially proposed a single family development concept called Detonty Close (http://uicstl.com/detonty-close/), which created a courtyard of 16 for sale single family units. It failed to attract any buyers and had limited interest. UIC then went back to the drawing board, completed a market study and changed the development plan to develop 2 multifamily buildings (60 total units), 8 single family townhouses and a four family historic renovation into 4 rental units. The project has started and they anticipate about 6 months of construction for Phase 1. 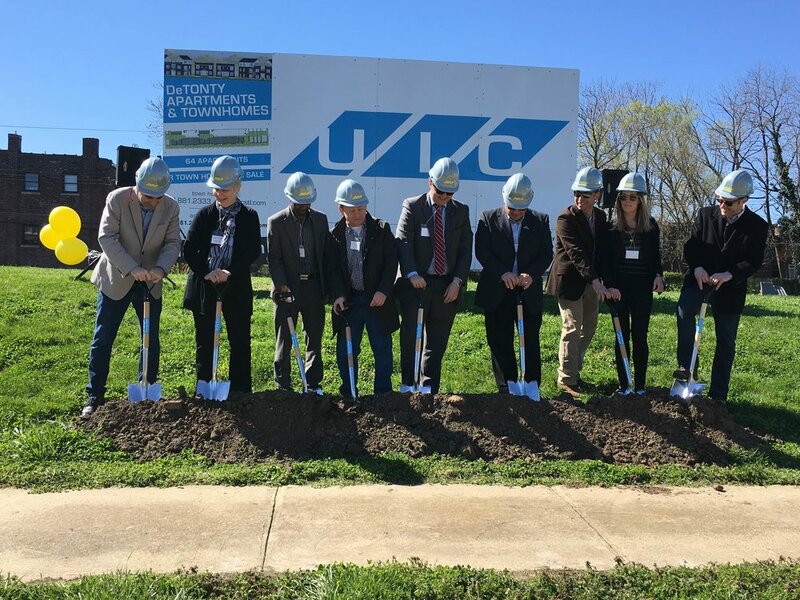 4100 Detonty Project Representatives ceremoniously shovel to celebrate the start of the long awaited UIC project. For more blogs on this project, please follow our links below.